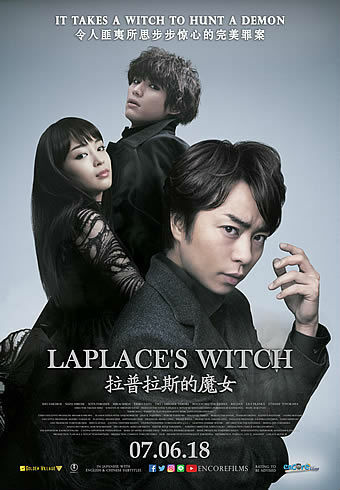 Laplace’s Witch is adapted from a novel by award winning Japanese novelist, Keigo Higashino. To date, his works have been adapted into 25 movies, including 3 Korean, 1 Chinese and 1 French adaptation. His better known works would be the Detective Galieo series, Devotion of Suspect X (2008) and A Midsummer’s Equation(2013). More recently, his fantasy novel has also been made into the movie Miracles of the Namiya General Store (2017). Much like most of his works, Laplace’s Witch is a story which revolves around a mystery; this time it is about the death of two men who are poisoned by hydrogen sulphide. 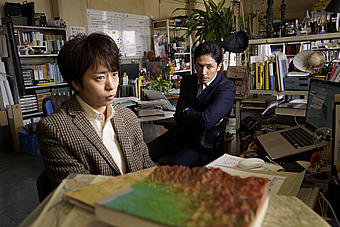 A geochemistry professor, Shusuke Aoe (Sho Sakurai), was invited to help in investigating the cause and possibility of murder. However, it appears to be insolvablemystery as it is almost impossible for a human being to plot a murder using nature’s forces! While still being perplexed by the phenomena, Professor Aoe encounters Madoka Uhara (Suzu Hirose), who seems to hold the key to unlock the mystery. The narrative of the story is interesting. 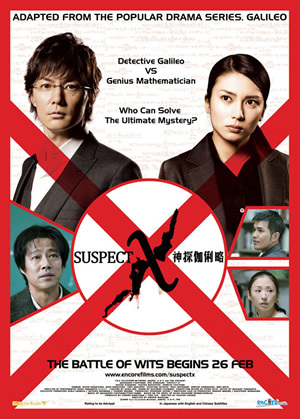 While geochemistry is not a popular theme for sci-fi / supernatural movies, intertwining the Laplace’s equation (which can be used to accurately describe the behaviour of electric, gravitational and fluid potentials) in attempting to calculate and plot the murder was quite intriguing. There was also a surreal scene where Madoka demonstrated to Professor Aoe how that could be done! 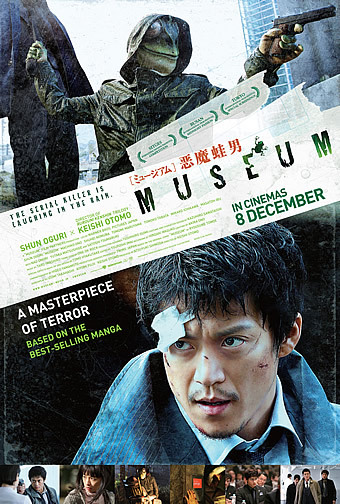 Director Miike Takashi is quite notorious for depicting scenes with extreme violence, bloodshed and sexual perversions. But fret not, Laplace’s Witch is nothing like it. In fact, the way Miike had brought out certain scenes, such as the unveil of the truth of the father, was appropriate and skilfully depicted. The camera work may look sloppy at first, but it matches the psyche of the father. His style of directing and imagination gave the film a unique touch. 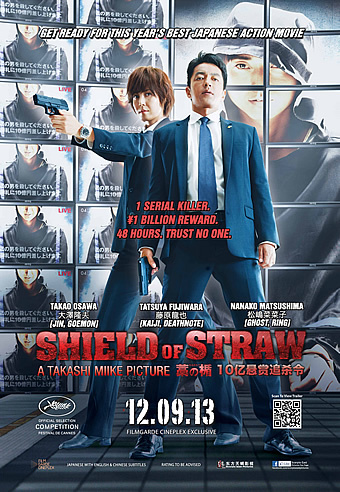 It is not Sho Sakurai’s first time working with Director Miike. Co-actor Sota Fukushi has also worked with Miike on As the Gods Will (2014). 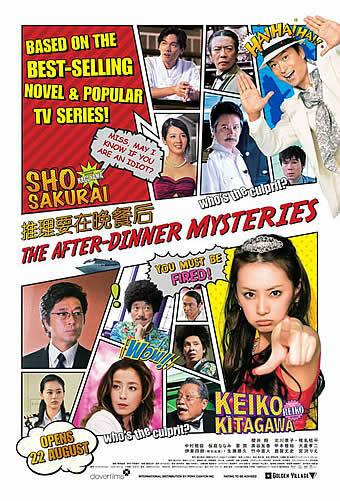 In fact for Sho, it has been 9 years since he last worked with Miike. Over interviews, Sho has said that majority of the production crew are people who he has worked with 9 years ago, hence a great teamwork in the cast and crew members. 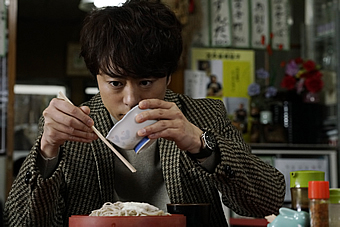 For fans of Sho, you’ll be glad to know that there’s ample screen time and lots of close-ups! His interactions and exchanges with Madoka (Hirose Suzu) are also cute to watch. Towards the end of the movie, it did feel like the resolution was bland and too hurried. But overall, the movie was still quite entertaining. Borrowing the famous quote, “with great power, comes great responsibility” - so what good or bad can it make when one has the power to foretell (not predict) the future?